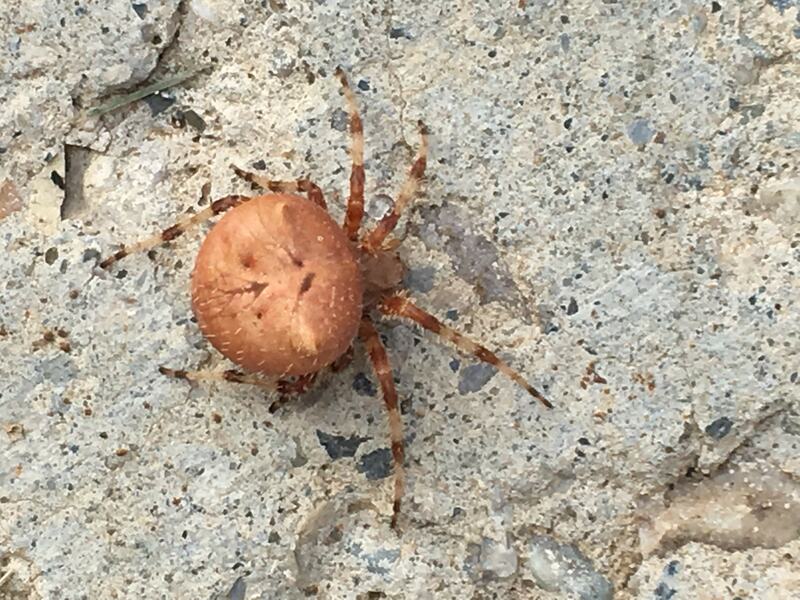 I believe this may be a brown, Utah Crab Spider. However, it was quite large - around 3/4 inch total body length, with the legs extending much further. I think it may be a cat-faced spider, either Araneus gemnoides or A. gemma. It’s an orb weaver spider, probably female. Yes. It is a cat-faced spider. Harmless to humans and prey upon other spiders including black widows. A great spider to have around.